조선 6대 단종(재위 1452∼1455)의 무덤이다. 단종은 수양대군에게 왕위를 빼앗긴 뒤, 충신들이 그를 다시 왕으로 복위시키려는 계획이 밝혀져 영월로 유배되어 그곳에서 세상을 떠났다. 단종이 죽자 후환이 두려워 시신을 거두는 사람이 없었는데 영월호장 엄흥도가 장사를 지냈다. 중종 이후 조정에서 단종에 대한 제사와 무덤에 대한 의견이 나오게 되어, 선조 때에 이르러 상석·표석·장명등·망주석을 세우게 되었다. 숙종 7년(1681)에 노산군을 노산대군으로 하였고, 숙종 24년(1698)에 복위시켜 이름을 장릉이라 하였다. 무덤에는 병풍석과 난간석을 세우지 않았다. 능의 양식은 간단하고 작은 후릉의 양식을 따랐으므로 석물은 왜소하면서도 간단한 편이다. 명릉이래 만들어진 사각지붕형의 등인 장명등은 장릉에서 첫선을 보이게 된다. 특히 장릉은 무덤 제도에 의해 정해진것 외에 단종에게 충절을 다한 신하들의 위패를 모시기 위해 배식단사를 설치하였다. 정려비·기적비·정자 등이 있는 곳은 이곳 뿐이며, 모두 왕위를 빼앗기고 죽음을 맞이한 단종과 관련된 것들이다. 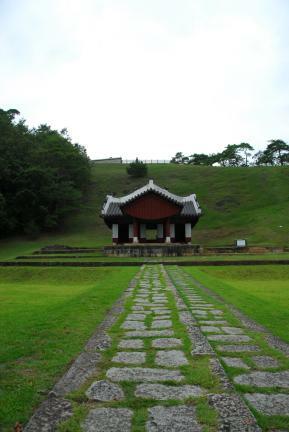 This is the tomb of King Danjong, the sixth king of Joseon. 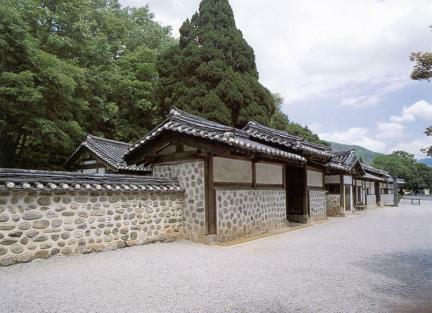 King Danjong was unseated by Prince Suyang and was banished to Yeongwol when an attempt by loyal vassals to return the throne to him was revealed. He passed away while in exile. 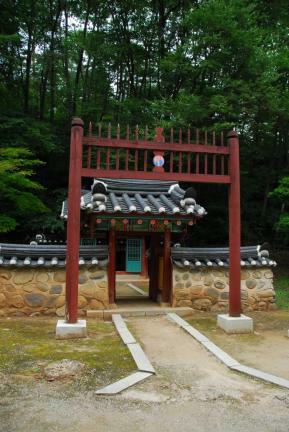 Out of fear of incurring the wrath of King Sejo, everyone hesitated to hold a funeral for King Danjong except a brave man named Eom Heung-do. 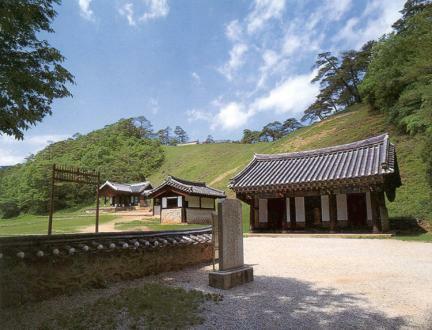 It was after the reign of King Jungjong that the vassals started discussing a memorial service for Danjong. 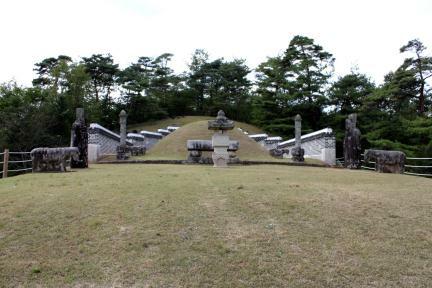 During the reign of King Seonjo, the stone figures were raised around the tomb. 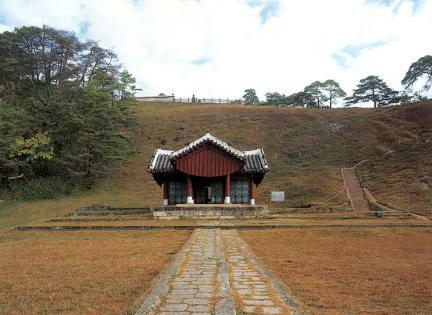 Following an attempt to raise his title to Prince in the seventh year of the reign of King Sukjong, the throne of King Danjong was restored, and his tomb was designated as a royal tomb after 17 years. 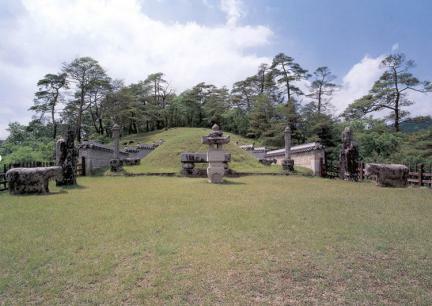 With the absence of the stone screen and the balustrade, the tomb is simple in style and was constructed to have petite stone figures as a small tomb. 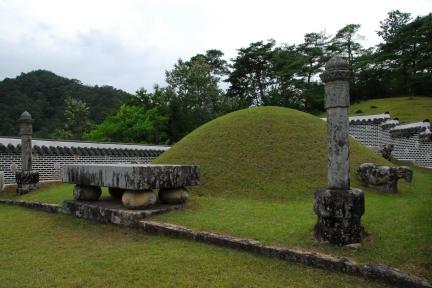 This tomb introduced the lantern with rectangular ceiling for the first time. 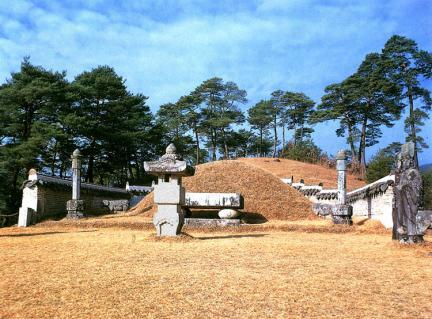 In particular, this tomb has mortuary tablets for the vassals who were faithful to King Danjong even at the risk of their lives. 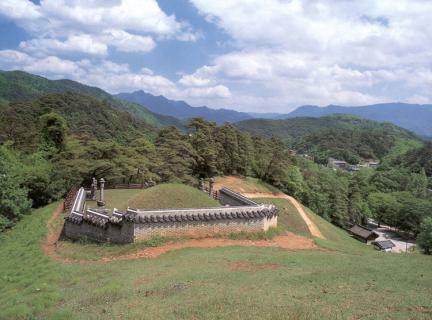 Only this tomb has monuments such as Jeongnyeobi (stele for filial devotion), Gijeokbi (memorial stone), and pavilion; everything here is related to the life of King Danjong, who lost his throne and passed away.